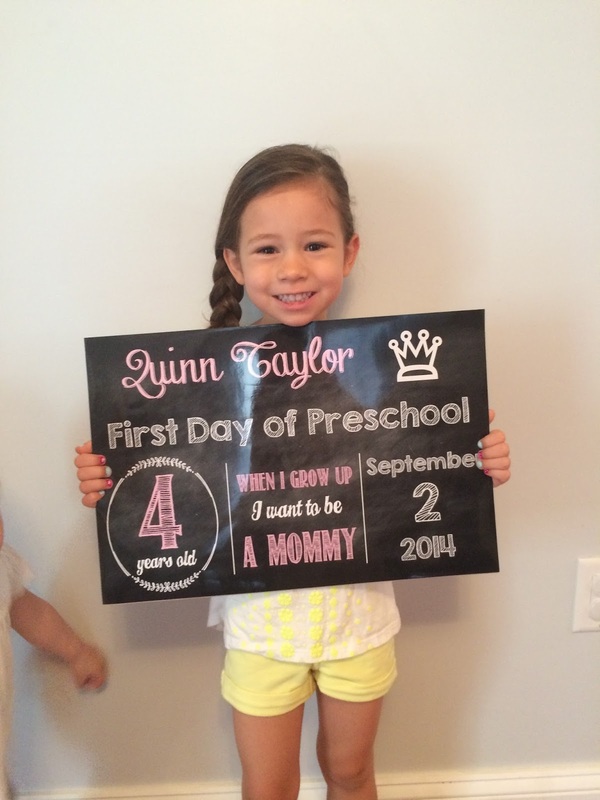 Quinn's First Week of Preschool! So the day came. The day I actually had to drive my first born to a place full of strangers and drop her off. Ok, so not that dramatic, but the thought makes me shudder. This girl has been attached to my hip since Harper was born and has spent all of her time with either us or her grandparents since the day she was born. I knew she would do great. I just knew it. The kid is amazing. She loves to learn. Like loves it. Must be from her father because no. We picked out her clothes, did her hair, packed her a lunch that was probably big enough to feed her entire classroom and off she went. Ok, off me and Quinn, Harper and my mom too. Because I needed all the support I could take that day. And let's be honest, Daddy would have cried so he decided to just go to work. I smothered her in hugs and kisses at the "I love you" line that they have on the floor of the classroom door and off she went. She couldn't get in there fast enough. I texted the director around lunch time to see how she was doing and she replied with "GREAT! Having an amazing time." which made me so happy. We picked her up and the hello I got was the most amazing thing. I've never gotten hugs so good. It was the best thing ever. She was so excited that we forgot to bring home her backpack and everything else because I was so damn happy to have my kid back. Off we went to get frozen yogurt and to tell me all about her day. So after a week (ok, she only goes two days a week for 4 hours) she is in love. She has a best friend named Max who is probably one of the cutest little boys I have ever seen. Hipster glasses and all. She can't wait until she can "go to school everyday" and she's sad she can't ride the bus. She has seriously made me the proudest mom. Love you to pieces you big girl. 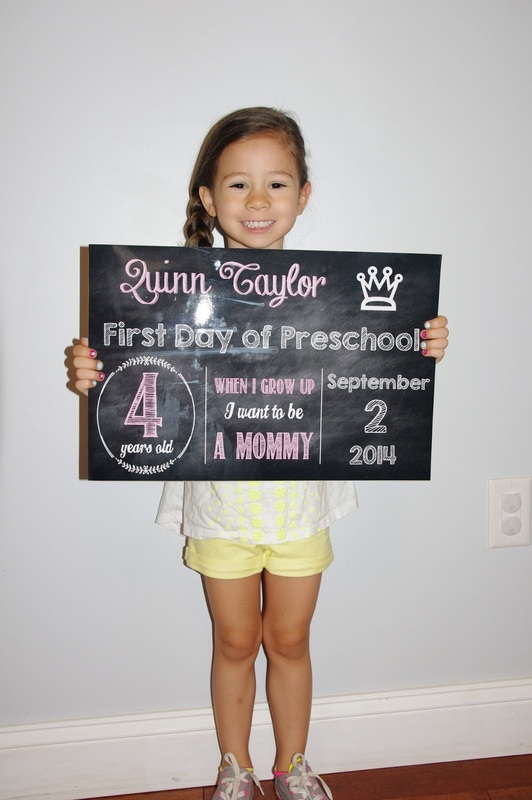 Kindergarten will be ridiculously hard for mama.